Sunday nights May 12 through September 15. Starting with 5:00pm tee times. $11 per person, includes a cart. Tee times can be made starting on Monday for the upcoming weekend. 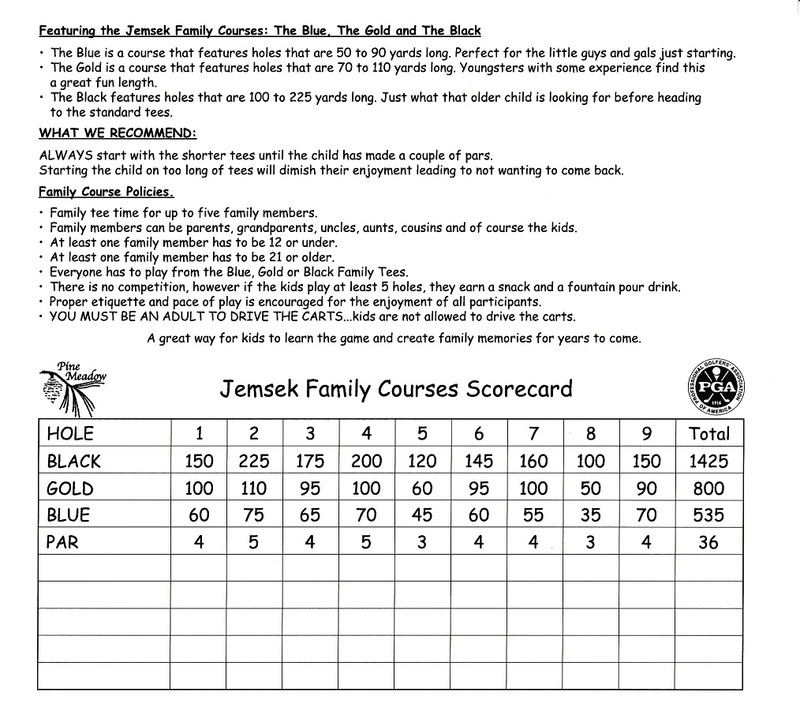 Featuring the Joe Jemsek "Family" Courses. Family tee time for up to five family members. Family members can be parents, grandparents, uncles, aunts, cousins and of course the kids. At least one family member has to be 12 or under. At least one family member has to be 21 or older. Everyone has to play from the Blue or Gold Family Tees. There is no competition, however if the kids play at least 4 holes, they earn a snack and a fountain drink. Proper etiquette and pace of play will be encouraged for all participants. A great way for kids to learn the game and create family memories for years to come. 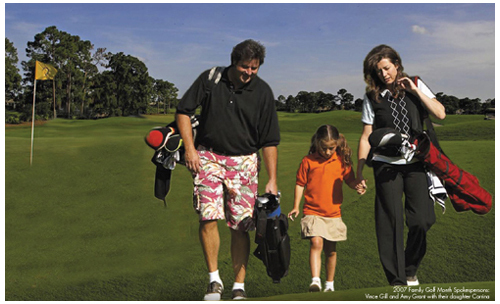 We do have a limited number of kids clubs that are available for use during Family Golf Night.